Opened in 2004. Newly renovated in 2013. 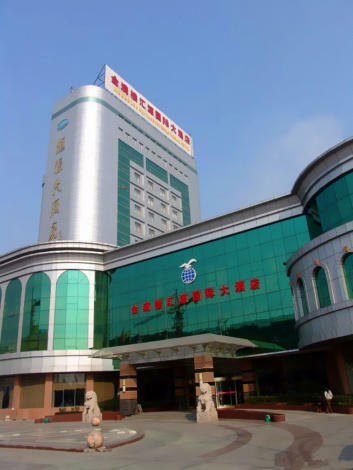 The Suzhou Huiyuan International Hotel (Suzhou Jinmanlou Huiyuan Guoji Dajiudian) is located in the north of the city, a five-minute drive from the railway station and close to city’s renowned garden residences. Accommodations include single, standard and luxury rooms, and all are equipped with central air-conditioning, video-on-demand, satellite TVs, and high-speed Internet access. Diners can take advantage of the on-site Chinese restaurant after a long day. Business guests are invited to make full use of the on-site conference rooms and the business center.